Discover the Berkeley family's demonic history in the bonus game! 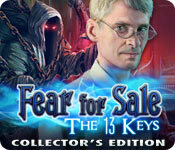 Fear for Sale: The 13 Keys Collector's Edition is rated 4.1 out of 5 by 49. Rated 5 out of 5 by RPgames from the keys I liked this game. I bought it four years ago and replayed it . Remembered couple of things but not enough to help. This is a long game so your money is well spent on this one. You do go searching all over the place to find items so if this bothers you this may not be the game for you. The extra Collector's part was not that long. I had a hard time remembering where the item I just found goes but the map and hint button helps. Not spooky to me but it maybe for others. I do like the 'Fear for sale' games and played most of them. Rated 5 out of 5 by calgary_janet from Loved this game Lots of challenge and a good storyline...plus almost enough hidden areas. Would love more games like this! Rated 5 out of 5 by upsysydaisy from Fear For Sale Games Always Great Excellent, as you would expect from Fear for Sale. The game was very entertaining but the fear factor was not so much this time; it was delightfully filled to the brim with things to accomplish, collectibles of all sorts, good assortment of achievements, great map, easy to follow story. Why on earth, then, can't a team of such talented game developers give us an exciting/interesting ending to make the story ENTIRELY satisfying?????? As in so many other games , the ending was very rushed and lame. Very disappointing. I am nearly finished with the bonus chapter, which is very good. Maybe it will improve on the ending of the main story...I can only hope. 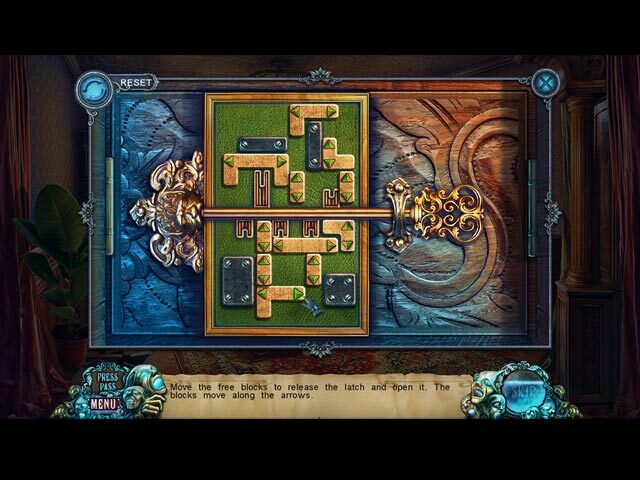 Rated 5 out of 5 by wolf_hounds from A FUN GAME engaging story, great graphics, good HO's, puzzles. useful jump maps. 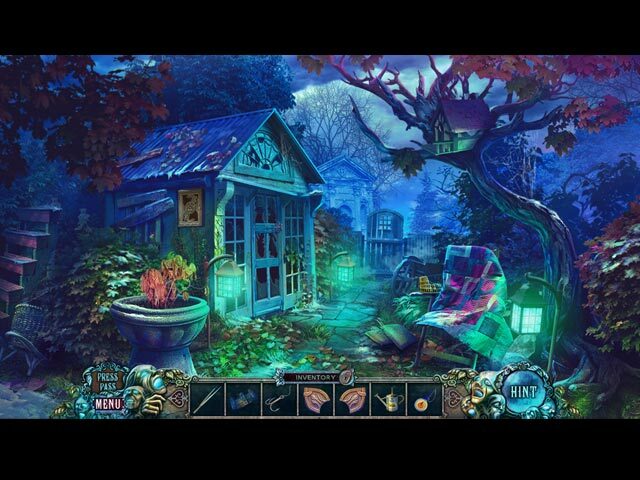 Not dark and murkey like many supernatural themed games. Just a Fun game.It is a big game, lots to do. Played CE. Rated 5 out of 5 by tobysue09 from Great game! Love a creepy hotel!! Good storyline, great graphics, fun mini-games- it's got it all! 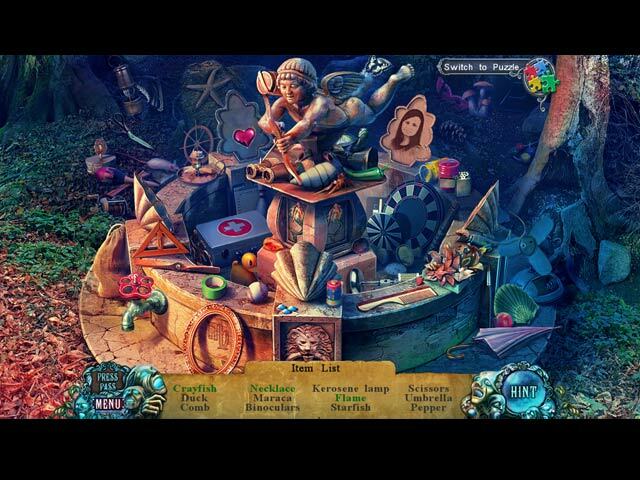 Rated 5 out of 5 by Meanlean from Wow WoW What A Great Game This game I stayed up until I finished it, the hidden object was just great not too hard the story line great the I enjoyed this puzzle so much. This game I had to use a portion of my game brain I have not had to use on other games. Thanks Big Fish Now bring on more games like this one!!! !